ZANESVILLE, Ohio – Two vehicles were involved in a head on collision accident roughly around 4 p.m. this afternoon at the intersection of Foxfire Drive and Pinkerton Lane. The intersection was blocked off where South Zanesville Fire Department were at the scene. Two people involved in the accident were injured, but only one was transported to the hospital. 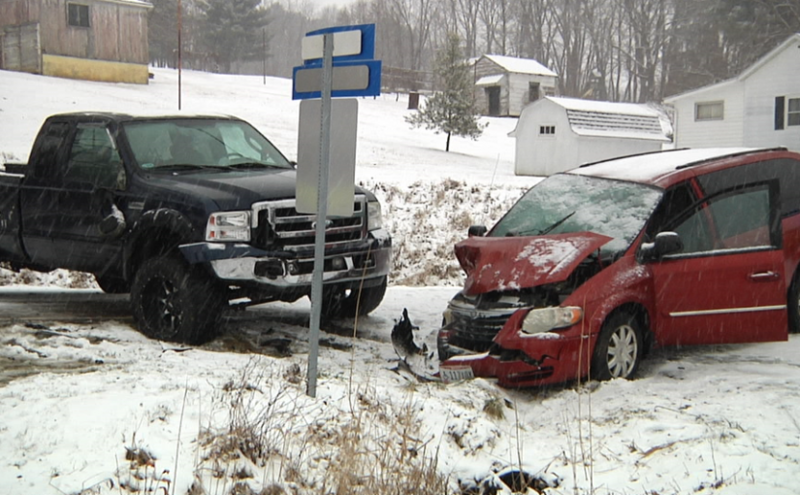 South Zanesville Fire Chief, Russell Taylor says, the accident was caused by slick roads. He warns the public to drive carefully. No current details as to when Foxfire Drive and Pinkerton Lane will be reopened.